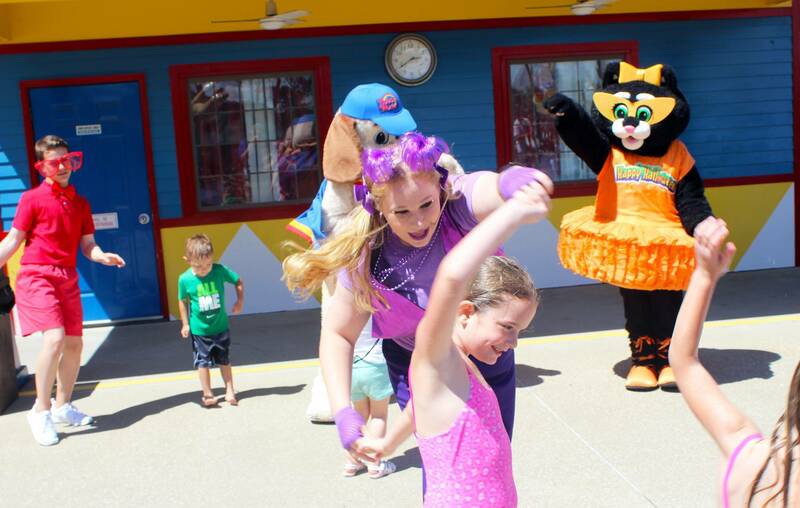 Join Holidog, Kitty Claws, and all their friends for some singing and dancing fun in Holidog’s FunTown! 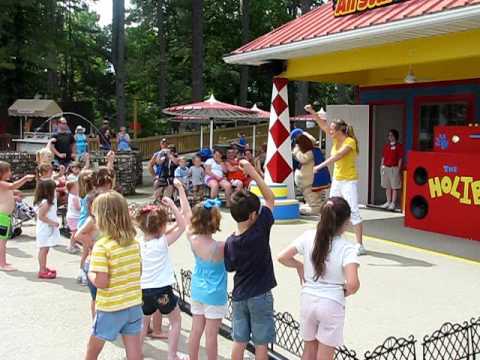 They also perform in these street shows – Santa’s Elves and the Dressmaker, Holidog’s Crazy Science, Kitty’s Great Halloween Party, and Olympic Tryouts with George – located throughout the park, followed by lots of Meet & Greet hugs. Find out if our Elves can help the Dressmaker finish her dress before she wakes! Our two scientists need your help with their experiments involving ice, salt, and balloons! 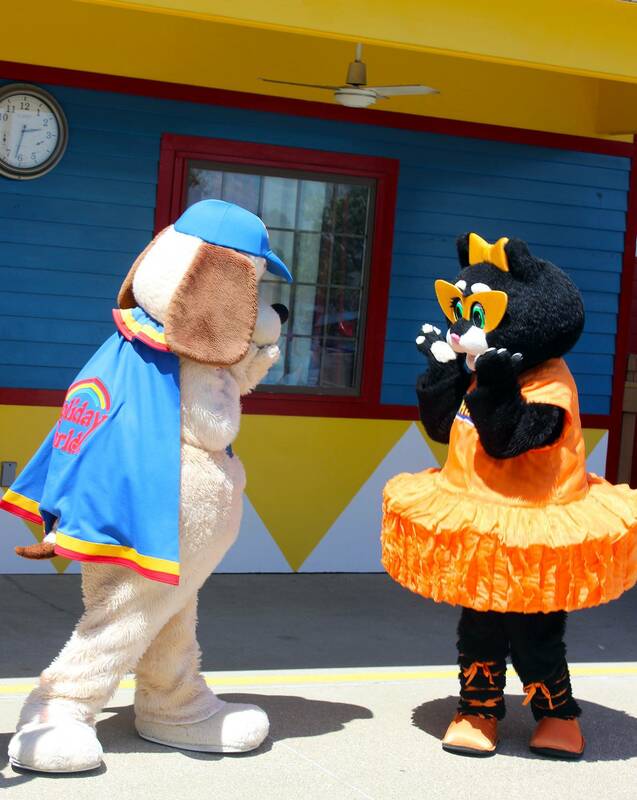 Come dance with Kitty Claws and get a chance to turn our mascots into mummies with our “mummy roll”! Can you win a friendly competition in just 60 seconds? Come have fun while you find out! 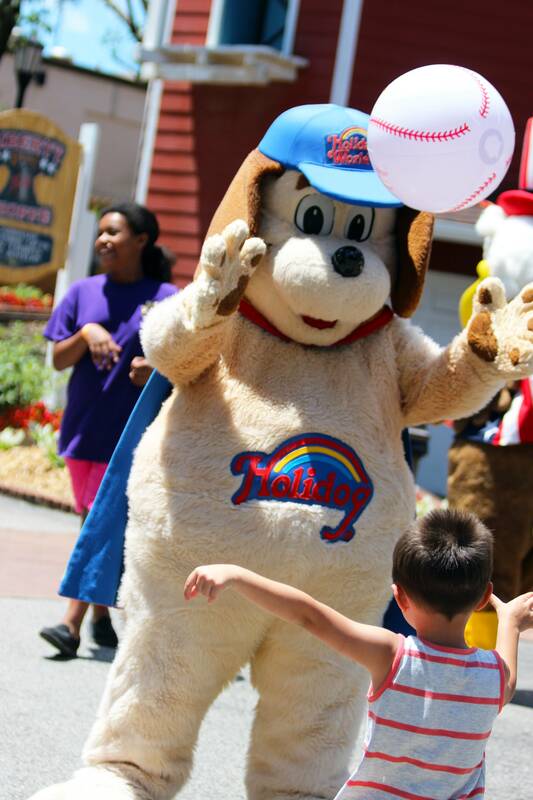 Holidog is the mascot for all of Holiday World. He loves to high-five his friends and snack on ice cream. 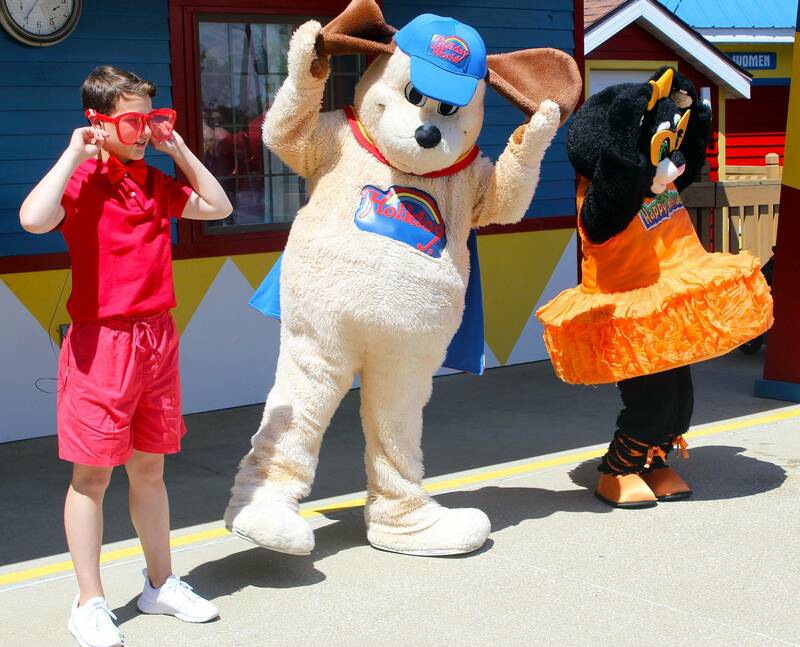 Safari Sam is the mascot for Splashin’ Safari. His favorite song is “Crocodile Rock” and his favorite color is green. 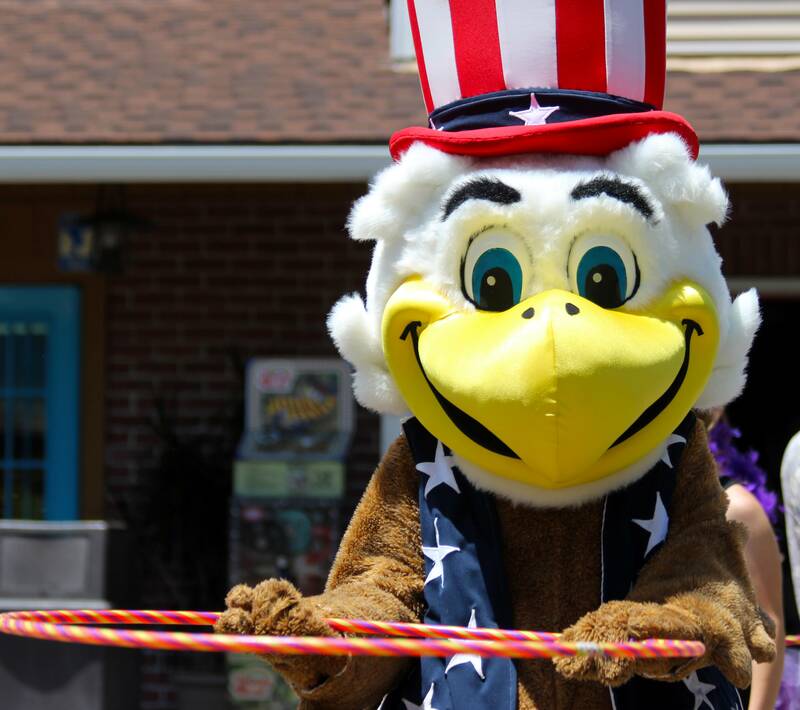 George the Eagle is known for his 4th of July red-white-and-blue top hat. He’s excited about Friday Night Fireworks this summer! 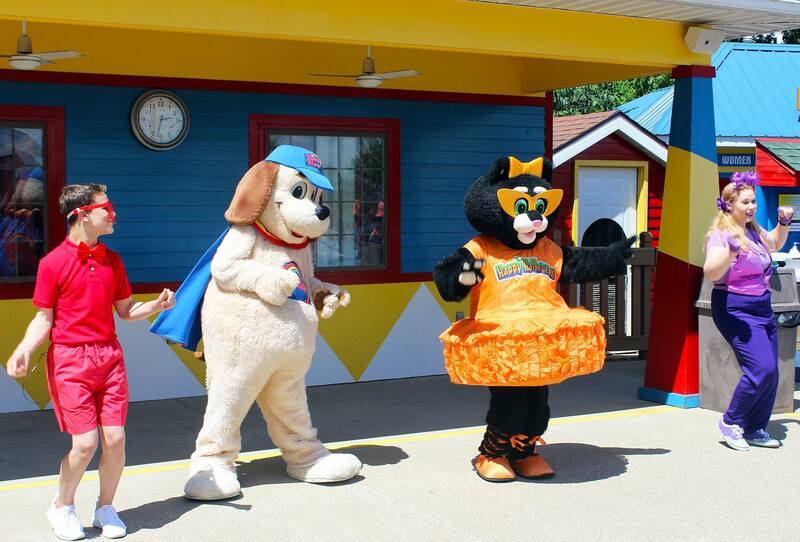 Kitty Claws is the mascot for Happy Halloween Weekends. Her favorite ride is Kitty’s Tea Party and she enjoys snacking on a caramel apple for a sweet treat.